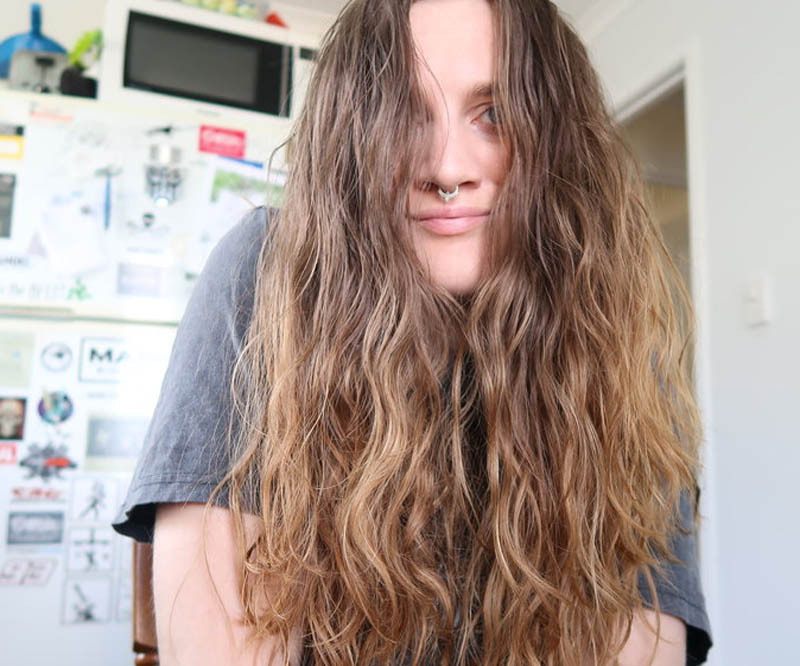 One key to the "clean" hair movement? Wash less. Counterintuitive, but true. Natural oils help keep hair shiny and healthy; shampoo strips them away. Plus, the more often you wash, the more often you're likely to blow-dry and style with heat, which dries and damages hair even more. How often is less often? If you ask a bunch of women in the know, you'll find that most are not washing every day. Usually, the rhythm is two to three times per week. Women with dry, coarse, curly or color-treated hair might try just once a week. Women with oily or short hair might try washing a little more often. Here's the equation to remember: The more water you can absorb from wet hair, the less you'll have to blow it dry; the less you have to dry it, the less damage you'll inflict. This is where specialty hair towels come in. 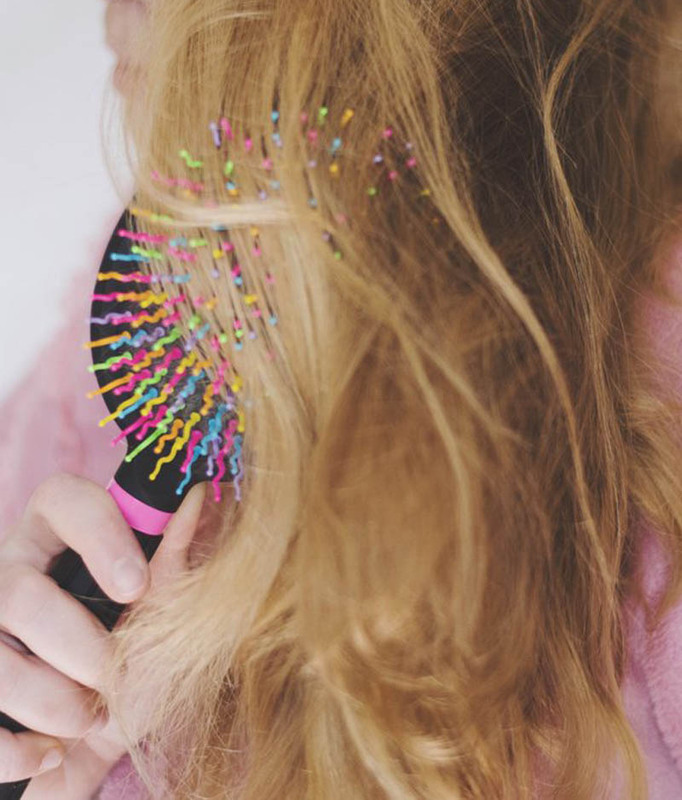 Typically made of soft, hyper-absorbent materials—like microfiber, or even T-shirt cotton—they can get hair almost dry, which minimizes your time under a hot blow dryer. For best results, blot or squeeze, never rub. Sulfates — sodium lauryl sulfate (SLS), sodium laureth sulfate (SLES) and ammonium laureth sulfate (ALS) — give regular shampoos their great lather, but those sought-after suds also strip hair of its necessary oils and proteins. They're also a big no-no for anyone with color-treated hair. "Sulfates can be taxing on compromised scalps, and weakened, fragile hair," hair stylist Tony Chavez told InStyle. "They tend to dry out the skin, as well as the hair follicle." But while shampoos with sulfates aren't great for healthy hair, they don't cause cancer. That's a myth. Hot water can be harsh on your skin and hair. It's better to wash hair in lukewarm or warm water. "Women often wash their hair with water which is too hot, thinking it will make hair cleaner," said hairdresser Andrew Barton. "The hot water activates the sebaceous gland, which secretes oil and can leave hair greasy soon after washing. 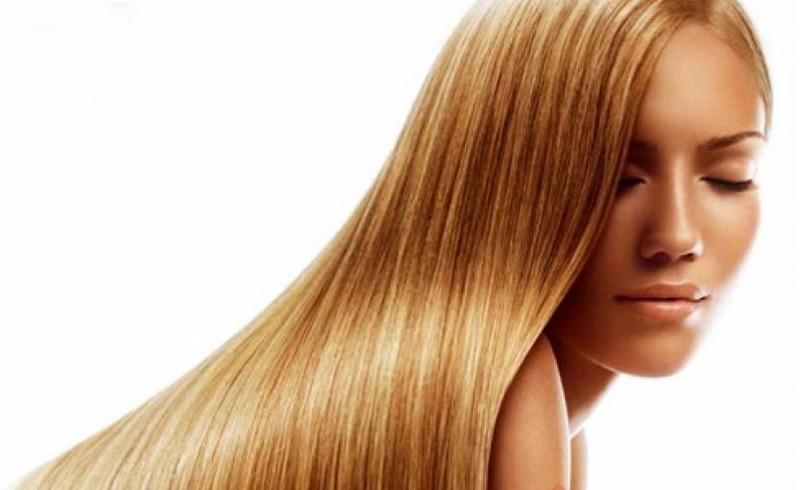 Use warm, tepid water for ultra clean hair and to extend the life of your blow-dry." We're not talking about the dirty diaper kind. If you're feeling extreme, you can ditch shampoo entirely. With the "No Poo" method, you're still cleaning your hair, just with ingredients that aren't shampoo. 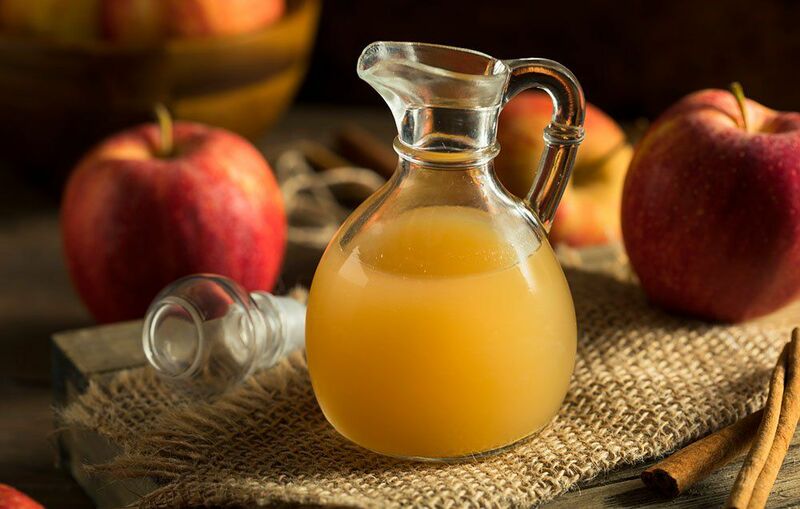 Think: apple cider vinegar, cornstarch, baking soda, vodka and honey, or simply water. As with a lot of natural remedies and approaches, your mileage may vary. Some people find their hair to be less greasy and more manageable, but it's not for everyone. Even if you're not ready to go all the way with the "No Poo" method, the occasional apple cider vinegar rinse can help mitigate some aspects of problem hair. The acetic acid helps remove residue, can balance pH and has natural anti-fungal properties. While using a brush can help distribute oils near your scalp down the hair shaft, and keep your scalp healthy, excessive brushing is a no-no. It can cause friction, breakage and damage. Hair stylist Scott Yance suggests keeping brushing to a minimum. "Brush your hair when it's knotty, but leave it alone otherwise," he said. Healthy hair begins with a healthy scalp. As Kevin Murphy, who owns his own hair care line, told Brit + Co., "We used to talk about the ends, now we talk about the source. … Scalp health is crucial to the hair's long-term health." One of the easiest and no-cost things you can do for scalp health is a simple scalp massage. It gets the blood flowing, and increased blood flow helps stimulate hair growth—among its myriad benefits. In an attempt to extend the life of a blowout, or reduce how many times a week you shampoo, women have turned to dry shampoo en masse. 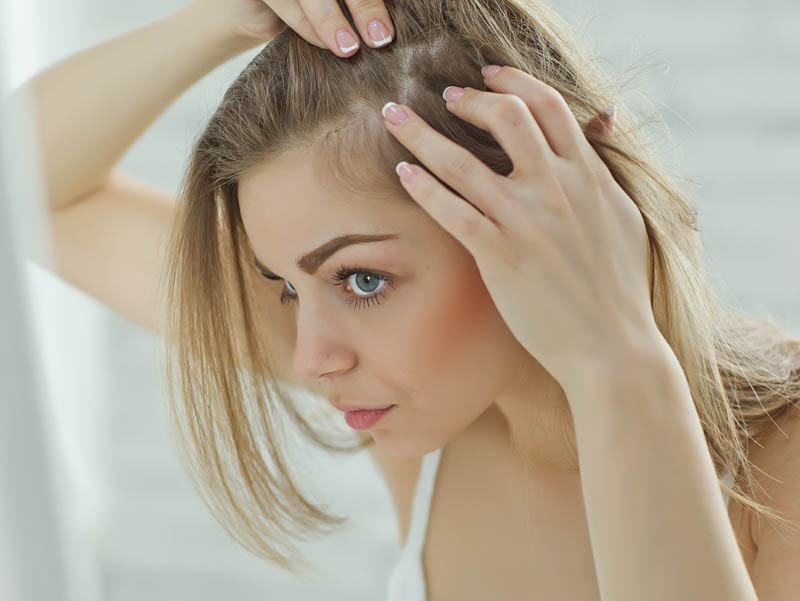 But it's no panacea—and can even lead to hair loss. As with most things when it comes to health, diet matters. For healthy hair, eat plenty of omega-3 fatty acids, protein, vitamin B5, vitamin C and beta-carotene.